Deputy Farming Minister Rebecca said the Government could not justify using BCG to vaccinate badgers when there a serious global shortage of the vaccine for humans. The Welsh Government has suspended its badger vaccination project in west Wales due to a global shortage of the BCG vaccine. The Government will not be proceeding with vaccination in what would have been the final year of the five-year badger vaccination programme in the 288sq.km Intensive Action Area, located largely in Pembrokeshire. Parts of the Welsh Government’s badger vaccination grant scheme will also be affected. Deputy Minister for Farming and Food Rebecca Evans announced she had suspended sourcing BCG for badger vaccination in Wales as she updated Welsh Assembly members on the Government’s bovine TB eradication programme. The Welsh Government had put in an order for Badger BCG for 2016 through Defra which procures the vaccine for use in England, Wales and Northern Ireland basis. Due to a backlog in production of the BCG vaccine for use in humans globally, SSI - the only company with the marketing authorisation to produce Badger BCG - has said it would not be producing Badger BCG until further notice. 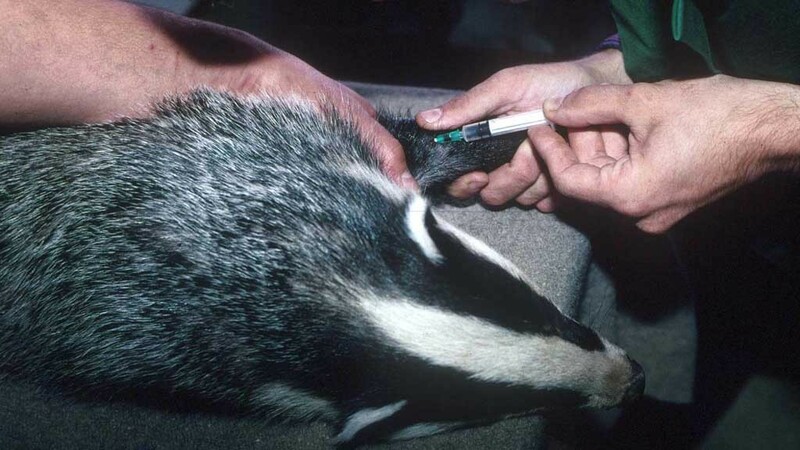 Badger vaccine is the same formula as the vaccine used in humans. Were the Welsh Government to continue with the badger vaccination programme next year, it would have to source human BCG for use in the badgers, Mrs Evans said. Given the global shortage, and the fact that one badger vaccine equates to 10 human adult doses or 20 human infant doses, the Deputy Minister decided to suspend vaccination until the global supply for humans is adequate. Mrs Evans said: “Bovine TB is a serious animal health issue and we are continuing to build and develop a programme which is robust and flexible, and involves working in partnership towards our goal of a TB free Wales. “However, public health must always take priority, and until the supply situation is resolved our badger vaccination projects currently underway in Wales - which include year 5 of the IAA project, and parts of the Badger Vaccination Grant scheme - will be suspended." She insisted, however, four years into the IAA vaccination programme and two years into private vaccination grants, that the ’hard work of the previous years will not have been wasted’. "We have successfully administered more than 5,500 doses during that time," she said. “Vaccination is far from the only tool in our armoury in our efforts to eradicate bovine TB. "We have increased focus on epidemiology and are identifying patterns of disease in Wales. 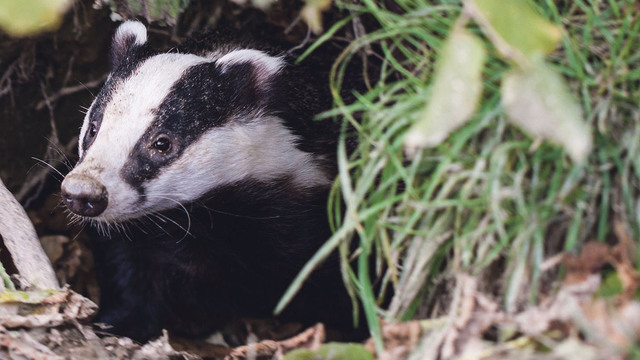 We have developed a TB dashboard to present TB data clearly, introduced informed purchasing polices, and are monitoring the profile of disease in wildlife through our Badger Found Dead survey." She said 94.4 per cent of herds in Wales are currently free from disease and that the Government ’remain committed to continuing our hard work to eradicate bovine TB from Wales for good’. The situation is serious enough for the World Health Organisation to have called on all countries to review their BCG usage. It wants to ensure countries with the highest human TB rates receive priority and to target individuals who will benefit most from BCG vaccination. Public Health England recently issued guidance to the medical profession on how the vaccine should he prioritised. UK Farming Minister George Eustice warned recently the global BCG shortage threatened to further undermine the already flawed policy of vaccinating badgers to control bTB. The merits of vaccinating in the IAA - an area where TB is rife in cattle and badgers - has always been hotly disputed. Many farmers were disappointed when the Labour Government abandoned plans by the previous Plaid-led Government to cull badgers in the areas. Welsh Chief Veterinary Officer Christianne Glossop said earlier this year vaccinating badgers had so far had no impact on bTB levels in Wales, where disease levels have fallen over the past few years. “We are not seeing any improvement in the short-term. I am not surprised about that. Modelling suggested it is only after year five you start to see a reduction," she told Farmers Guardian. “We didn’t expect to see any improvement in the short-term, if at all I should add, because nobody has gone in at that level of (disease) intensity before." The vaccination programme has cost the Government nearly £1 million per year. Challenging Mrs Evans in the Senedd, Kirsty Williams AM, Leader of the Welsh Liberal Democrats, said: “Today’s news effectively leaves Labour’s entire bTB eradication plan in tatters. "The world-wide shortage of the BCG vaccine for humans is well-known, so why Labour hadn’t put a contingency plan in place is baffling. “Labour Ministers are refusing to admit how long they’ve known about these problems. The project is to date, the largest project of this nature ever undertaken. Vaccination has been carried alongside other measures in the IAA, including 6 monthly cattle testing, strict biosecurity protocols and cattle movement restriction.